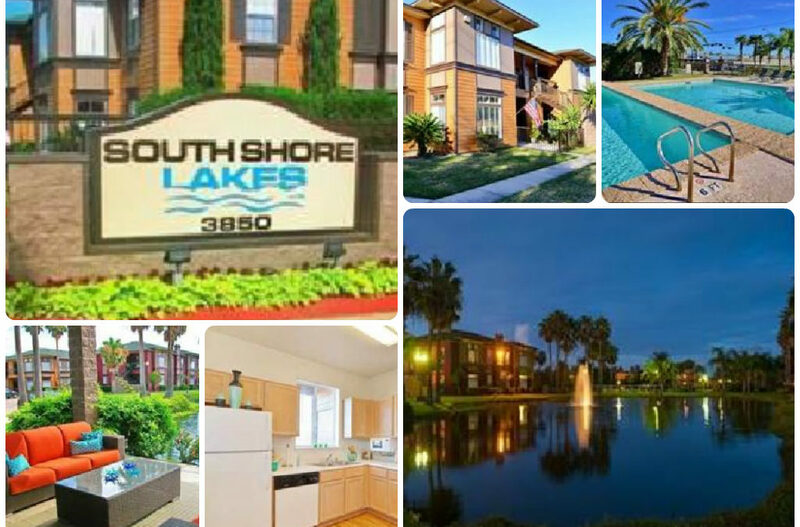 Venterra has acquired South Shore Lakes, a 328-unit institutional quality Class A apartment community in League City, Texas. 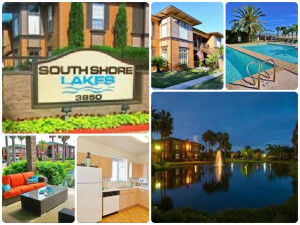 South Shore Lakes Apartments is home to those that live, work, and play within the Clear Lake area of League City. Whether you’re looking to be close to great shopping at Baybrook Mall, Tanger Outlets, and Baybrook Village Shopping Center or within minutes of Clear Lake or the Kemah Boardwalk – living at South Shore Lakes Apartments puts you in the center of it all. Enjoy convenient access to the Port of Houston and Clear Lake Medical Center or near to the award winning Clear Creek ISD schools – all located within close proximity to South Shores Lakes Apartments. 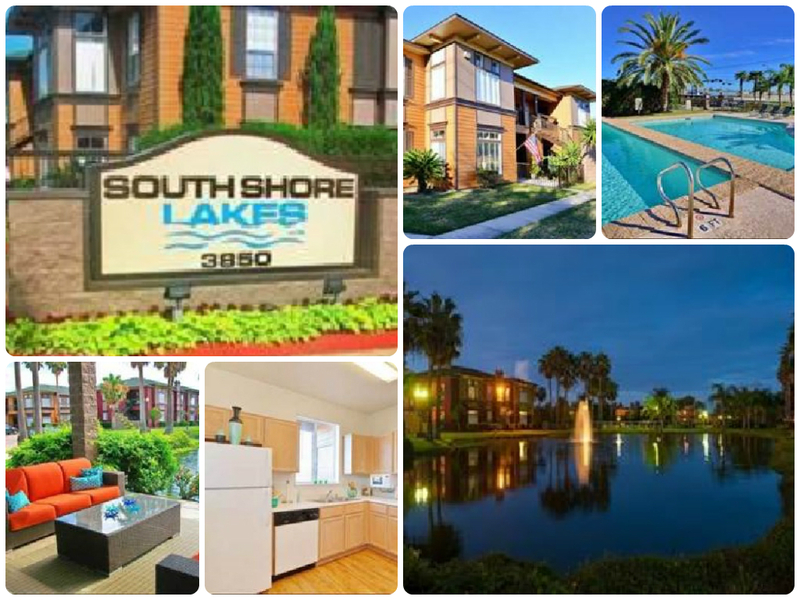 South Shores Lakes Apartments offer spacious one and two bedroom floor plans featuring newly added black appliances, brushed nickel hardware and vinyl wood flooring. Enjoy stellar amenities such as four swimming pools, sand volleyball court, business center, golf putting green, lakeside veranda, fitness center, and more. We are now hiring a Make Ready Technician & Porter to join our team at South Shore Lakes! I am writing to file a complaint about your staff, Ms. Brenda Grasha. She was so very rude to me at the office today and was very impolite. I had gone to the office this morning to obtain copies of faxed documents from my insurance agent. I requested I was expecting some fax documents that I needed to pick up. She completely ignored me with scornful countenance, going about her business (looking at papers on her desk) pretending not hear me. When I finally drew her attention by speaking louder, informing I would like to please see if my fax has arrived. She quietly muttered and remain sitted for 5-10 mins as if I wasn’t there and finally walked sluggishly to the copier room which was so very inappropriate, no courtesy, no kind words noted; which you would probably expect from a front office staff. My encounters with her rude behavior started since she started working at this forest view location. The way she responds when you are trying to inquire or get information from the office, even when picking up mails or parcels at the front office always sounding unfriendly. She would correct my tenses as if I don’t speak English well enough. And most times, I would wave off her actions and just don’t think about. The first I could remember was couple of months ago when I called the office requesting a lock and key to my bedroom door, she was so antagonistic and dictating, almost categorically refusing my request. I told her my request has being placed and approved by an office staff already ; and then she responds “ you must ask to speak to me! In other words “ No one give orders except me. I explained further that at my previous apartment home, I had similar request always granted and didn’t realize forest view was expectional; She went on and on asking arrogant statements like “Are you trying to place additional tenants in the room? “Well you can’t and we cannot place any keys in the bedroom”, in such defiant manner. I told her I would like to place a lock on my bedroom for personal reasons, I told her I was ready to purchase the key and give a copy of the keys to the apartment complex for emergency purpose And the staff I spoke to earlier informed her the order has being imputed into the system. Very ridiculous behavior I noticed. Yesterday I got my car towed from the Apartment complex, after narrating my ordeal couple of days ago, I explaining to her that I have being busy with work and have had oversight about my sticker expiring because I don’t drive the cartoo often. I TOLD her I haven’t had time off work to go replace my car stickers and that I needed some time to get my sticker replaced and due to the endless queue at the county office being so long I mailed the sticker request forms to the county office and waiting for my stickers to be mailed back and hopefully will get it straightened out in a couple of weeks she DID agreed she would notify / or call me if sticker is not replaced before the car will be the towed; which was the contrary that happened. Ms. Brenda actually called the Towing wreaker company as informed by the storage company, despite my talk and agreement with her. And when I inquired from her what happened this morning, she lied about not being aware when the car was towed. I have stayed in this apartment for over a year and recently renewed my lease for a 12month period. I am sincerely shocked to get such cold treatment from her. I always pay my bill on time, Never had any issue with anyone not, even the other members of staff, I get treated with respect and courtesy by staff members especially with the maintenance crew. My maintenance requests are always done promptly and on time. But my only unpleasant experience at forest view, I must say is with this lady, She is very arrogant and rude especially when you are calling to inquire about information at the office. Not good having someone with such behavior at the front office. I believe Forest View Apartment is an established and a very organized company that would not want Clients to have a wrong notion or opinion about the place. I called this place home for me and my family and to be treated with resentment and discontent is the least of my expectation. Thank you for taking the time to reach out to us with your concerns. I’m so sorry to hear about your negative experiences and want to ensure you that we want to do what we can to make it right. I’ve passed along your information to the appropriate managers so that we can begin to take any necessary steps to address the issues that you’ve brought up. You can expect to hear from one of our managers in the near future to discuss the situation in more detail, but in the meantime, if you would like to share any more information I want to encourage you to not hesitate to reach out to me directly at eisaac@venterraliving.com. I’m more than happy to lend an ear and help out however I can, as well. Thank you again for taking the time to contact us and have a great rest of your day!